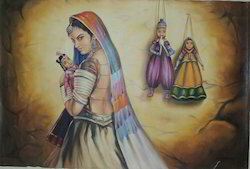 By the earlier experience in this domain, we are offering a vast range of Rajasthani Lady Painting. This painting is designed in compliance with set guidelines by our highly skilled professionals by using best material and leading techniques. Offered painting is used in homes and restaurants. As well, this painting is available in various combinations of sets that are precisely prepared from high grade material. 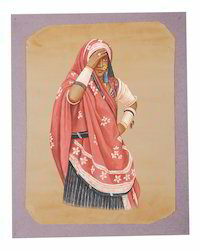 To meet and serve the demands of our clients, we are engaged in offering a wide array of Village Theme Paintings. Our offered painting is available on numerous designs & sizes as per the needs of customers. This painting is designed by our highly experienced professionals by using modern techniques in strict adherence with the trends of market. 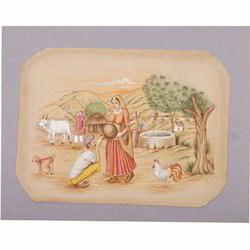 An optimal item for gift, these paintings is widely used in various residents, hotels and other areas. 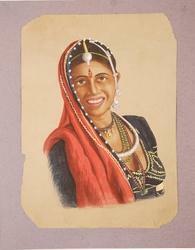 Dholamaru provides you wide range of village painting on various medium . 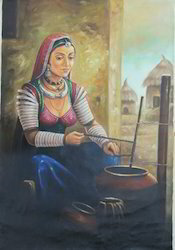 Riding on unfathomable volumes of industrial expertise, we are offering an exclusive range of Rajasthani Village Painting. This painting is designed by our highly experienced professionals by using top quality material & modern techniques in strict adherence with the set norms of market. The offered range has been availed to the customers in a plethora of designs. 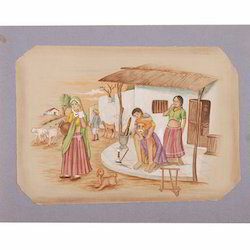 Moreover, our expert artisans have painted these paintings by making use of best quality colors. These paintings are available with us in a wide variety of beautiful themes. Looking for Village Paintings ?